It rained overnight and all day so far. 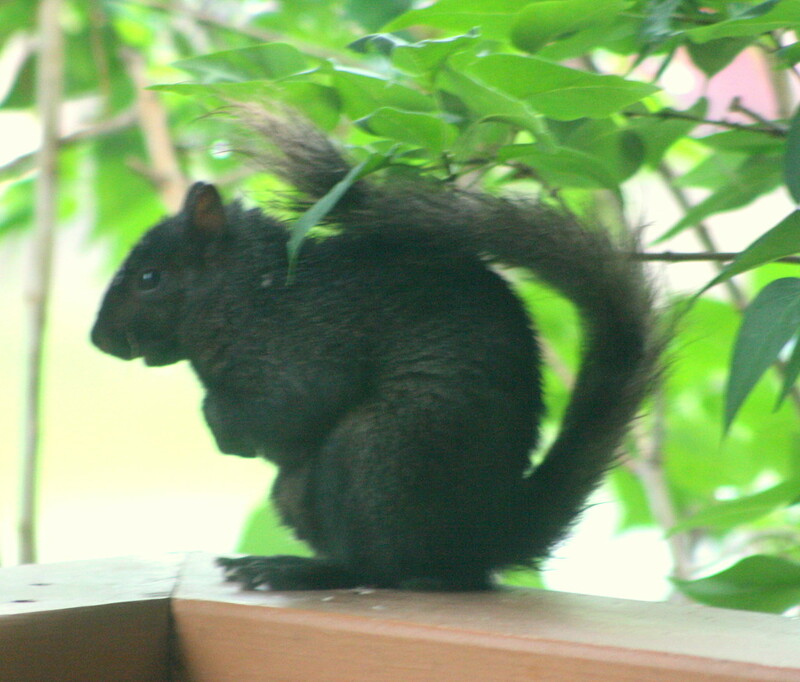 here you see a black squirrel with his tail covering him...but sits on the railing underneath our deck roof to stay dry. I had lots of time taking pictures as he never even blinked an eye of my being behind the glass patio doors with my camera. He looks like a statue! Very good posing. Sooty the squirrel - be a great name for him! Nice catch- he was too busy trying to stay dry to be bothered by you. Good shot. We would love to have some of you rain. Record dry of July already. Great capture of this nice black squirrel.